Just wondering what the timeframe would be on this thermos I got recently? Not sure if it is P51 or later. 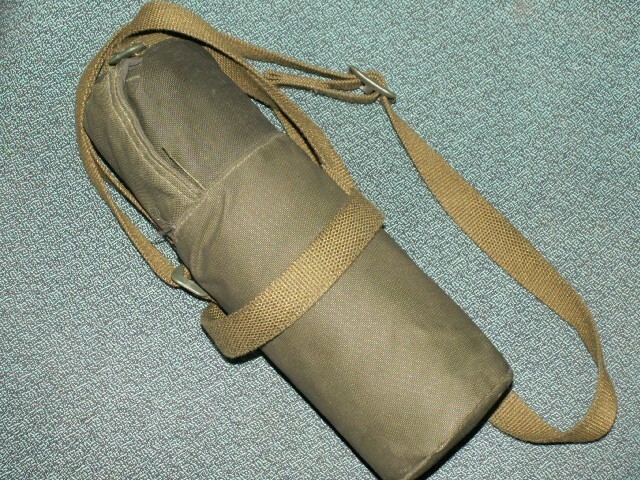 The carrier has the same plastic buckles as the 1971 dated P51 messtin and canteen carriers I have. I think they were used into the 80's though. Any ideas? I'm not sure when these were introduced but I was issued one in mid 90's. They were replaced shortly after that by an insulated water bottle. Thanks Geoff! Thought it was neat so I grabbed it...may put it to use this winter. I was issued mine in 1982 and like Geoff says, they were replaced in the 90's. They fit so well in the 76mm Ammo rack for the old Cougar AVGP!! Yours looks like a late issue as the bag/carrier seems to be a newer nylon construction whereas the older ones has a more "canvas" carrier of the same design. Careful if you plan to use it as the inner vessel is subject to breakage and you end up with a thermos full of broken glass!!! Funny how I see what was issue kit for me now as a collectable!! This was rammed home to me when I went into the vehicle section of the new War Museum and saw many vehicles I had driven! !.......both in type and in a couple of cases, the actual vehicle!! I kinda figured it looked more like 82 pattern material. Thats ok...it is still a neat item. I peeked inside and it looks like it is a metal vessel in there. I found a larger thermos for this winter so this one will stay on the shelf...possibly for a future 82 pattern web display. 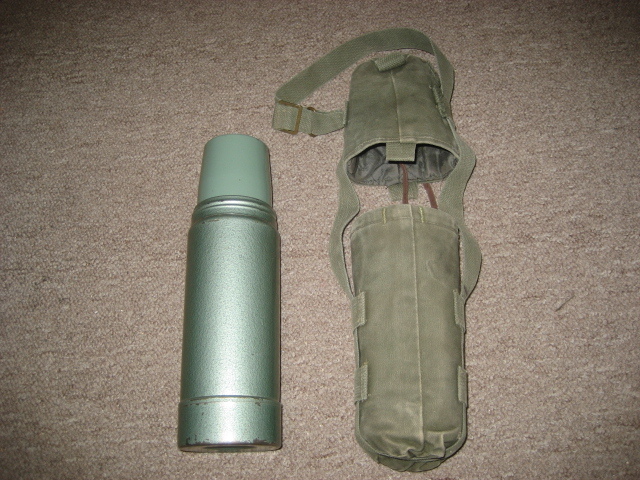 The carrier may have changed but the thermos itself was in use for many years. In fact, I was issued mine in 1990 and still have it on my clothing docs. 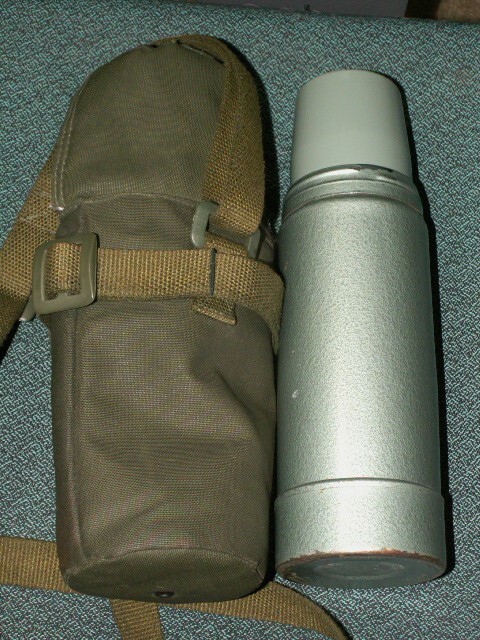 The thermos issued in the mid 90's is the same shape and size as the plastic water bottle and was initially black while the later issue was green.